Citation: Quantum 1, 30 (2017). We study the dynamics of a quantum impurity immersed in a Bose-Einstein condensate as an open quantum system in the framework of the quantum Brownian motion model. We derive a generalized Langevin equation for the position of the impurity. The Langevin equation is an integrodifferential equation that contains a memory kernel and is driven by a colored noise. These result from considering the environment as given by the degrees of freedom of the quantum gas, and thus depend on its parameters, e.g. interaction strength between the bosons, temperature, etc. We study the role of the memory on the dynamics of the impurity. When the impurity is untrapped, we find that it exhibits a super-diffusive behavior at long times. We find that back-flow in energy between the environment and the impurity occurs during evolution. When the particle is trapped, we calculate the variance of the position and momentum to determine how they compare with the Heisenberg limit. One important result of this paper is that we find position squeezing for the trapped impurity at long times. We determine the regime of validity of our model and the parameters in which these effects can be observed in realistic experiments. L. D. Landau and S. I. Pekar, Effective mass of a polaron, Zh. Eksp. Teor. Fiz. (1948). H. Fröhlich, Electrons in lattice fields, Advances In Physics 3(11):325 (1954). A. Alexandrov and J. Devreese, Advances in Polaron Physics, Springer Series in Solid-State Sciences (Springer, 2009). A. Schirotzek, C.-H. Wu, A. Sommer, and M. W. Zwierlein, Observation of Fermi Polarons in a Tunable Fermi Liquid of Ultracold Atoms, Phys. Rev. Lett. 102, 230402 (2009). C. Kohstall, M. Zaccanti, M. Jag, A. Trenkwalder, P. Massignan, G. M. Bruun, F. Schreck, and R. Grimm, Metastability and coherence of repulsive polarons in a strongly interacting Fermi mixture, Nature 485, 615 (2012). M. Koschorreck, D. Pertot, E. Vogt, B. Fröhlich, M. Feld, and M. Köhl, Attractive and repulsive Fermi polarons in two dimensions, Nature 485, 619 (2012). P. Massignan, M. Zaccanti, and G. M. Bruun, Polarons, dressed molecules and itinerant ferromagnetism in ultracold Fermi gases, Reports on Progress in Physics 77, 034401 (2014). Z. Lan and C. Lobo, A single impurity in an ideal atomic Fermi gas: current understanding and some open problems, J. Indian I. Sci. 94, 179 (2014). J. Levinsen and M. M. Parish, Strongly interacting two-dimensional Fermi gases, (2014), arXiv:1408.2737. R. Schmidt, T. Enss, V. Pietilä, and E. Demler, Fermi polarons in two dimensions, Phys. Rev. A 85, 021602 (2012). R. Côté, V. Kharchenko, and M. D. Lukin, Mesoscopic Molecular Ions in Bose-Einstein Condensates, Phys. Rev. Lett. 89, 093001 (2002). P. Massignan, C. J. Pethick, and H. Smith, Static properties of positive ions in atomic Bose-Einstein condensates, Phys. Rev. A 71, 023606 (2005). F. M. Cucchietti and E. Timmermans, Strong-Coupling Polarons in Dilute Gas Bose-Einstein Condensates, Phys. Rev. Lett. 96, 210401 (2006). S. Palzer, C. Zipkes, C. Sias, and M. Köhl, Quantum Transport through a Tonks-Girardeau Gas, Phys. Rev. Lett. 103, 150601 (2009). J. Catani, G. Lamporesi, D. Naik, M. Gring, M. Inguscio, F. Minardi, A. Kantian, and T. Giamarchi, Quantum dynamics of impurities in a one-dimensional Bose gas, Phys. Rev. A 85, 023623 (2012). N. Spethmann, F. Kindermann, S. John, C. Weber, D. Meschede, and A. Widera, Dynamics of Single Neutral Impurity Atoms Immersed in an Ultracold Gas, Phys. Rev. Lett. 109, 235301 (2012). S. P. Rath and R. Schmidt, Field-theoretical study of the Bose polaron, Phys. Rev. A 88, 053632 (2013). T. Fukuhara, A. Kantian, M. Endres, M. Cheneau, P. Schauß, S. Hild, D. Bellem, U. Schollwöck, T. Giamarchi, C. Gross, I. Bloch, and S. Kuhr, Quantum dynamics of a mobile spin impurity, Nature Physics 9, 235 (2013). A. Shashi, F. Grusdt, D. A. Abanin, and E. Demler, Radio-frequency spectroscopy of polarons in ultracold Bose gases, Phys. Rev. A 89, 053617 (2014). D. Benjamin and E. Demler, Variational polaron method for Bose-Bose mixtures, Phys. Rev. A 89, 033615 (2014). F. Grusdt, A. Shashi, D. Abanin, and E. Demler, Bloch oscillations of bosonic lattice polarons, (2014a), arXiv:1410.1513. F. Grusdt, Y. E. Shchadilova, A. N. Rubtsov, and E. Demler, Renormalization group approach to the Fröhlich polaron model: application to impurity-BEC problem, (2014b), arXiv:1410.2203. R. S. Christensen, J. Levinsen, and G. M. Bruun, Quasiparticle Properties of a Mobile Impurity in a Bose-Einstein Condensate, Phys. Rev. Lett. 115, 160401 (2015a). J. Levinsen, M. M. Parish, and G. M. Bruun, Impurity in a Bose-Einstein Condensate and the Efimov Effect, Phys. Rev. Lett. 115, 125302 (2015). L. A. P. Ardila and S. Giorgini, Impurity in a Bose-Einstein condensate: Study of the attractive and repulsive branch using quantum Monte Carlo methods, Phys. Rev. A 92, 033612 (2015). A. G. Volosniev, H.-W. Hammer, and N. T. Zinner, Real-time dynamics of an impurity in an ideal Bose gas in a trap, Phys. Rev. A 92, 023623 (2015). F. Grusdt and E. Demler, New theoretical approaches to Bose polarons, arxiv 1510.04934 (2016). F. Grusdt and M. Fleischhauer, Tunable Polarons of Slow-Light Polaritons in a Two-Dimensional Bose-Einstein Condensate, Phys. Rev. Lett. 116, 053602 (2016). Y. E. Shchadilova, R. Schmidt, F. Grusdt, and E. Demler, Quantum Dynamics of Ultracold Bose Polarons, Phys. Rev. Lett. 117, 113002 (2016a). Y. E. Shchadilova, F. Grusdt, A. N. Rubtsov, and E. Demler, Polaronic mass renormalization of impurities in Bose-Einstein condensates: Correlated Gaussian-wave-function approach, Phys. Rev. A 93, 043606 (2016b). C. Castelnovo, J.-S. Caux, and S. H. Simon, Driven impurity in an ultracold one-dimensional Bose gas with intermediate interaction strength, Phys. Rev. A 93, 013613 (2016). L. A. P. Ardila and S. Giorgini, Bose polaron problem: Effect of mass imbalance on binding energy, Phys. Rev. A 94, 063640 (2016). N. J. Robinson, J.-S. Caux, and R. M. Konik, Motion of a Distinguishable Impurity in the Bose Gas: Arrested Expansion Without a Lattice and Impurity Snaking, Phys. Rev. Lett. 116, 145302 (2016). N. B. Jørgensen, L. Wacker, K. T. Skalmstang, M. M. Parish, J. Levinsen, R. S. Christensen, G. M. Bruun, and J. J. Arlt, Observation of Attractive and Repulsive Polarons in a Bose-Einstein Condensate, Phys. Rev. Lett. 117, 055302 (2016). M.-G. Hu, M. J. Van de Graaff, D. Kedar, J. P. Corson, E. A. Cornell, and D. S. Jin, Bose Polarons in the Strongly Interacting Regime, Phys. Rev. Lett. 117, 055301 (2016). T. Rentrop, A. Trautmann, F. A. Olivares, F. Jendrzejewski, A. Komnik, and M. K. Oberthaler, Observation of the Phononic Lamb Shift with a Synthetic Vacuum, Phys. Rev. X 6, 041041 (2016). C. Gardiner and P. Zoller, Quantum Noise: A Handbook of Markovian and Non-Markovian Quantum Stochastic Methods with Applications to Quantum Optics, Springer Series in Synergetics (Springer, Berlin, 2004). H. Breuer and F. Petruccione, The Theory of Open Quantum Systems (OUP, Oxford, 2007). M. Schlosshauer, Decoherence and the Quantum-To-Classical Transition, The Frontiers Collection (Springer, 2007). M. Schlosshauer, Decoherence, the measurement problem, and interpretations of quantum mechanics, Rev. Mod. Phys. 76, 1267 (2005). W. H. Zurek, Decoherence, einselection, and the quantum origins of the classical, Rev. Mod. Phys. 75, 715 (2003). A. Caldeira and A. Leggett, Path integral approach to quantum Brownian motion, Physica A: Statistical Mechanics and its Applications 121, 587 (1983a). A. Caldeira and A. Leggett, Quantum tunnelling in a dissipative system, Annals of Physics 149, 374 (1983b). D. K. Efimkin, J. Hofmann, and V. Galitski, Non-Markovian Quantum Friction of Bright Solitons in Superfluids, Phys. Rev. Lett. 116, 225301 (2016). I. B. S. V. G. Hilary M. Hurst, Dmitry K. Efimkin, Kinetic theory of dark solitons with tunable friction, arxiv (2016). A. C. Keser and V. Galitski, Analogue Stochastic Gravity in Strongly-Interacting Bose-Einstein Condensates, arXiv:1612.08980 (2016). J. Bonart and L. F. Cugliandolo, From nonequilibrium quantum Brownian motion to impurity dynamics in one-dimensional quantum liquids, Phys. Rev. A 86, 023636 (2012). J. Bonart and L. F. Cugliandolo, Effective potential and polaronic mass shift in a trapped dynamical impurity Luttinger liquid system, EPL (Europhysics Letters) 101, 16003 (2013). P. Massignan, A. Lampo, J. Wehr, and M. Lewenstein, Quantum Brownian motion with inhomogeneous damping and diffusion, Phys. Rev. A 91, 033627 (2015). A. Lampo, S. H. Lim, J. Wehr, P. Massignan, and M. Lewenstein, Lindblad model of quantum Brownian motion, Phys. Rev. A 94, 042123 (2016). L. Pitaevskii and S. Stringari, Bose-Einstein Condensation (Oxford University Press, Oxford, 2003). J. S. Canizares and F. Sols, Translational symmetry and microscopic preparation in oscillator models of quantum dissipation, Physica A: Statistical Mechanics and its Applications 212, 181 (1994). M. Bruderer, A. Klein, S. R. Clark, and D. Jaksch, Polaron physics in optical lattices, Phys. Rev. A 76, 011605 (2007). R. S. Christensen, J. Levinsen, and G. M. Bruun, Quasiparticle Properties of a Mobile Impurity in a Bose-Einstein Condensate, Phys. Rev. Lett. 115, 160401 (2015b). J. Tempere, W. Casteels, M. Oberthaler, S. Knoop, E. Timmermans, and J. Devreese, Feynman path-integral treatment of the BEC-impurity polaron, Phys. Rev. B 80, 184504 (2009). W. Casteels and M. Wouters, Polaron formation in the vicinity of a narrow Feshbach resonance, Phys. Rev. A 90, 043602 (2014). F. Grusdt, G. E. Astrakharchik, and E. A. Demler, Bose polarons in ultracold atoms in one dimension: beyond the Fröhlich paradigm, arXiv:1704.02606 (2017). S. Peotta, D. Rossini, M. Polini, F. Minardi, and R. Fazio, Quantum Breathing of an Impurity in a One-Dimensional Bath of Interacting Bosons, Phys. Rev. Lett. 110, 015302 (2013). G. W. Ford and R. F. O'Connell, Radiation reaction in electrodynamics and the elimination of runaway solutions, Physics Letters A 157, 217 (1991). Q. Wang and H. Zhan, On different numerical inverse Laplace methods for solute transport problems, Advances in Water Resources 75, 80 (2015). G. Guarnieri, C. Uchiyama, and B. Vacchini, Energy backflow and non-Markovian dynamics, Phys. Rev. A 93, 012118 (2016). S. H. Lim, J. Wehr, A. Lampo, M. A. García-March, and M. Lewenstein, On the Small Mass Limit of Quantum Brownian Motion with Inhomogeneous Damping and Diffusion, arXiv:1704.02606 (2017). F. E. Nixon, Handbook of Laplace transformation: fundamentals, applications, tables, and examples (Prentice-Hall, 1965). W. Feller, An Introduction to Probability Theory and Its Applications (Wiley, 1971). H. Grabert, P. Schramm, and G.-L. Ingold, Localization and anomalous diffusion of a damped quantum particle, Phys. Rev. Lett. 58, 1285 (1987). F. Grusdt, R. Schmidt, Y. E. Shchadilova, and E. Demler, "Strong-coupling Bose polarons in a Bose-Einstein condensate", Physical Review A 96 1, 013607 (2017). Fabian Grusdt, Gregory E. Astrakharchik, and Eugene Demler, "Bose polarons in ultracold atoms in one dimension: beyond the Fröhlich paradigm", New Journal of Physics 19 10, 103035 (2017). Paula Ostmann and Walter T. Strunz, "Cooling and frequency shift of an impurity in a ultracold Bose gas using an open system approach", arXiv:1707.05257 (2017). A. S. Dehkharghani, A. G. Volosniev, and N. T. Zinner, "Coalescence of Two Impurities in a Trapped One-dimensional Bose Gas", Physical Review Letters 121 8, 080405 (2018). Luis A. Correa, Martí Perarnau-Llobet, Karen V. Hovhannisyan, Senaida Hernández-Santana, Mohammad Mehboudi, and Anna Sanpera, "Enhancement of low-temperature thermometry by strong coupling", Physical Review A 96 6, 062103 (2017). Fabian Grusdt, Kushal Seetharam, Yulia Shchadilova, and Eugene Demler, "Strong-coupling Bose polarons out of equilibrium: Dynamical renormalization-group approach", Physical Review A 97 3, 033612 (2018). Kevin Keiler and Peter Schmelcher, "State engineering of impurities in a lattice by coupling to a Bose gas", New Journal of Physics 20 10, 103042 (2018). Soon Hoe Lim, Jan Wehr, Aniello Lampo, Miguel Ángel García-March, and Maciej Lewenstein, "On the Small Mass Limit of Quantum Brownian Motion with Inhomogeneous Damping and Diffusion", Journal of Statistical Physics 170 2, 351 (2018). Karen V. Hovhannisyan and Luis A. Correa, "Measuring the temperature of cold many-body quantum systems", Physical Review B 98 4, 045101 (2018). M A Garcia-March, S van Frank, M Bonneau, J Schmiedmayer, M Lewenstein, and Lea F Santos, "Relaxation, chaos, and thermalization in a three-mode model of a Bose–Einstein condensate", New Journal of Physics 20 11, 113039 (2018). 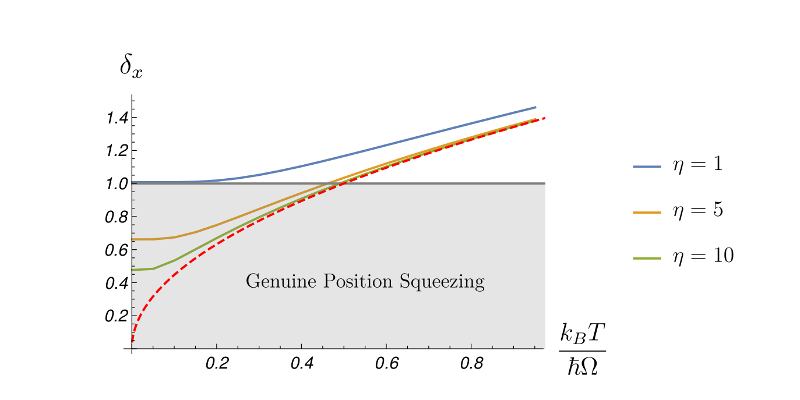 Christos Charalambous, Miguel A. Garcia-March, Aniello Lampo, Mohammad Mehboud, and Maciej Lewenstein, "Two distinguishable impurities in BEC: squeezing and entanglement of two Bose polarons", SciPost Physics 6 1, 010 (2019). Aniello Lampo, Christos Charalambous, Miguel Ángel García-March, and Maciej Lewenstein, "Non-Markovian polaron dynamics in a trapped Bose-Einstein condensate", Physical Review A 98 6, 063630 (2018). Volodymyr Pastukhov, "Polaron in the dilute critical Bose condensate", Journal of Physics A: Mathematical and Theoretical 51 19, 195003 (2018). Mohammad Mehboudi, Aniello Lampo, Christos Charalambous, Luis A. Correa, Miguel Ángel García-March, and Maciej Lewenstein, "Using Polarons for sub-nK Quantum Nondemolition Thermometry in a Bose-Einstein Condensate", Physical Review Letters 122 3, 030403 (2019). 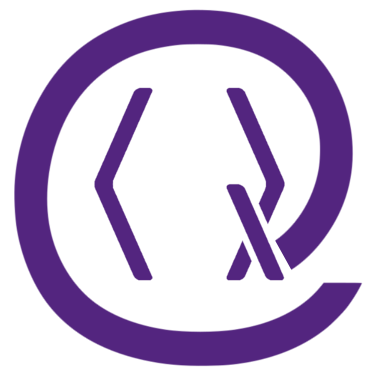 P. Bialas, J. Spiechowicz, and J. Łuczka, "Partition of energy for a dissipative quantum oscillator", Scientific Reports 8 1, 16080 (2018). Volodymyr Pastukhov, "Impurity states in the one-dimensional Bose gas", Physical Review A 96 4, 043625 (2017). Nils-Eric Guenther, Pietro Massignan, Maciej Lewenstein, and Georg M. Bruun, "Bose Polarons at Finite Temperature and Strong Coupling", Physical Review Letters 120 5, 050405 (2018). P Bialas, J Spiechowicz, and J Łuczka, "Quantum analogue of energy equipartition theorem", Journal of Physics A: Mathematical and Theoretical 52 15, 15LT01 (2019). Shuhei M. Yoshida, Shimpei Endo, Jesper Levinsen, and Meera M. Parish, "Universality of an Impurity in a Bose-Einstein Condensate", Physical Review X 8 1, 011024 (2018). H. J. D. Miller and J. Anders, "Energy-temperature uncertainty relation in quantum thermodynamics", Nature Communications 9 1, 2203 (2018). J. Spiechowicz, P. Bialas, and J. Łuczka, "Quantum partition of energy for a free Brownian particle: Impact of dissipation", Physical Review A 98 5, 052107 (2018). The above citations are from Crossref's cited-by service (last updated 2019-04-25 21:52:24) and SAO/NASA ADS (last updated 2019-04-25 21:52:25). The list may be incomplete as not all publishers provide suitable and complete citation data.